As I stated in the “About Me” section, my blog will be almost solely about burgers. However, there will be rare occasions when my posts are of the non-burger variety such as this one. About a year ago, my wife and I had the pleasure of traveling to Portland, OR. It was absolutely gorgeous. Not a cloud in the sky the entire time we were there, and the temperature was perfect. It was over 100 degrees in Austin, so getting to go somewhere where the high temperature was in the 80s was a total treat for us. Oh, and did I mention that right next door to our hotel they were having the Bite of Oregon, an annual food, music, wine, beer festival? We drank some local beers, listened to good music, sampled a lot of food, and topped it all off with a stop at the Voodoo Doughnut truck (I enjoyed my Marshall Mathers donut so much that we actually went to the Voodoo Doughnut shop later in the day and stood in line for some more doughy goodness). Rather than gorging ourselves at the Bite or just hanging out near the hotel, we decided to venture out a little bit and headed to the Good Food Here food cart pod. 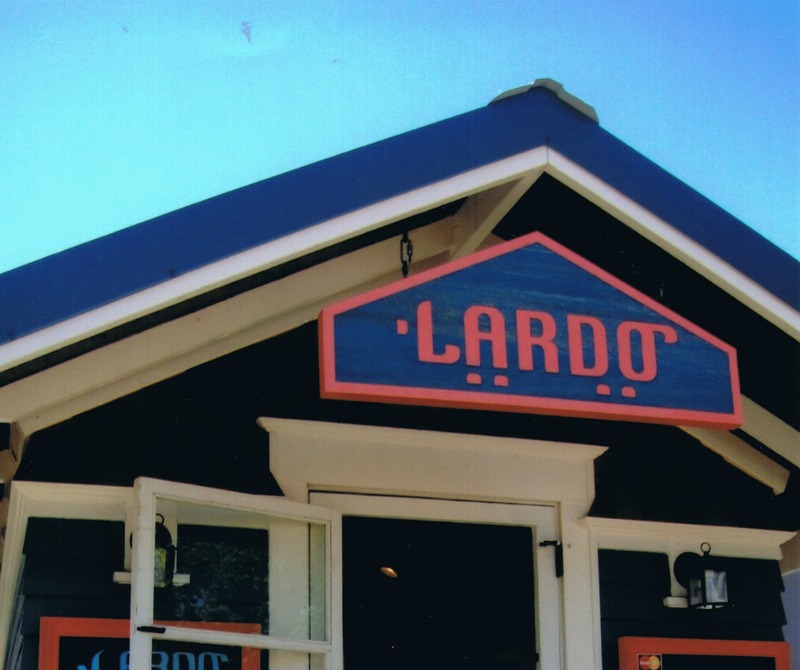 Although my wife wandered around the different carts for a while, I knew exactly where I wanted to eat the moment I laid eyes on the beautiful blue cart — Lardo. 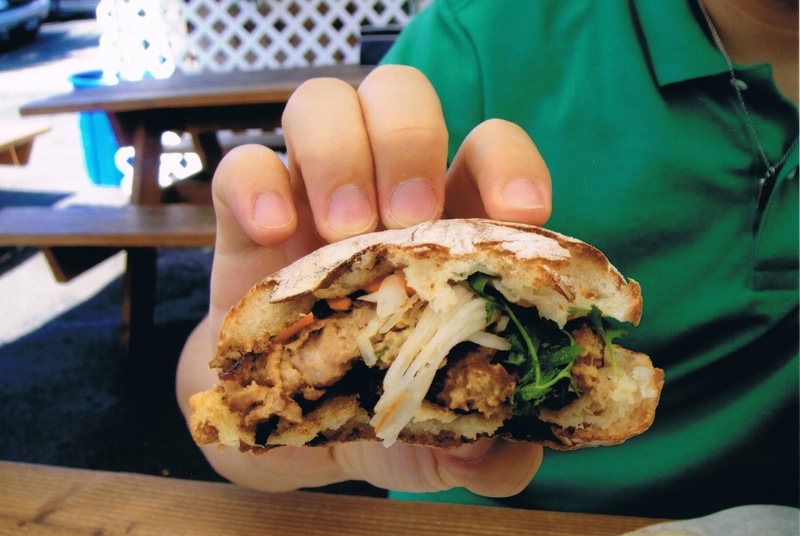 We enjoyed our Portland food cart experience so much that when we returned to Austin we were determined to explore the Austin food truck scene. In the past year, we have had the pleasure of eating at trucks such as the peached tortilla, Yumé Burger, and ChiLantro BBQ to name a few. 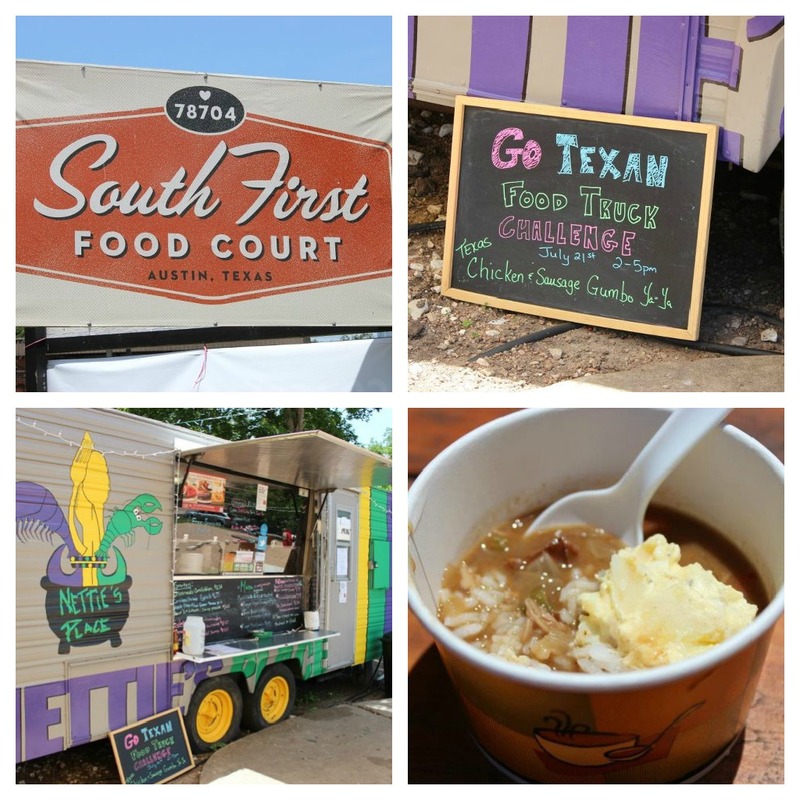 About a month ago, we explored a little bit more and attended the Taste of Texas Food Truck Challenge at the South First Food Court. 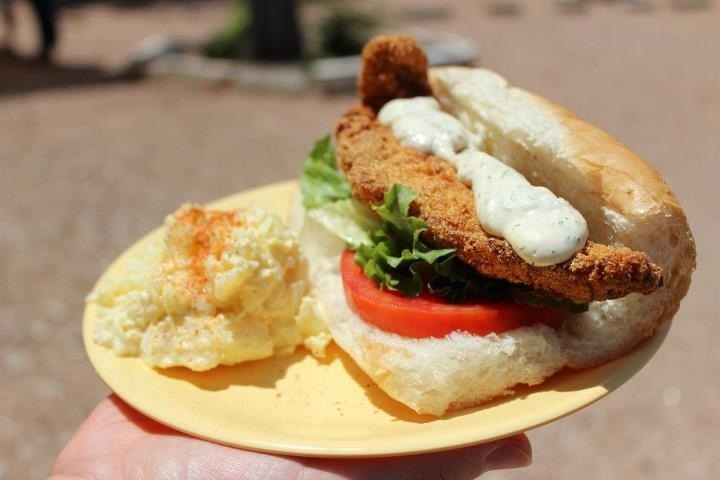 Five teams battled for food truck supremacy while using Texas ingredients in their dishes. The competitors included Bananarchy, Blue Dog Pizza, Bufalo Bob’s Chalupa Wagon, Lard Have Mercy, and Nettie’s Place. When the dust settled, Nettie’s Place, a cajun comfort food truck, ended up with the bragging rights for their chicken & sausage gumbo. While people were still sampling the food and getting their votes in, I snuck over to Nettie’s Place and ordered myself an Atchafalaya PoBoy (with fried catfish). Yeah…even after sampling all the food I was still hungry. Nettie’s gumbo was good, but this poboy was something else. Initially, I was a little intimidated by its size, but I got over that very quickly. The bread was soft and pillowy but had a nice crust. The veggies, as you can clearly see, were wonderfully fresh. And the catfish was fried to perfection. The fillet was tender and flaky, and the cornmeal crust was crisp, light and not very greasy at all. I was a little concerned with the amount of tartar sauce on the sandwich, but it ended up being just the right amount. Clearly, Nettie’s Place had things under control. I was also a big fan of their potato salad. It was like a cross between potato salad and egg salad. I found so much joy in eating this poboy that it made me forget about the sweltering 100+ degree weather we were sitting in! Kudos to you, Nettie’s Place!! It really seems like a great time to be living in Austin with so many new eateries and food trucks opening up all over the place. So many places to eat, so little time. But for now, it’s back to burgers!! Until next time, mis amigos…deuces.